For years, New England sports fans were at the mercy of cable companies overcharging them to watch the Boston Redsox or the Bruins. It’s hard to enjoy the game when you know you have an expensive cable bill looming over you. Thankfully, the rise of streaming services has removed the stranglehold that Comcast, Spectrum, and other cable companies had over Boston sports fans. You can now stream NESN live to your TV or mobile device for a fraction of what you’re paying for cable. Not only that, but these services are contract free and don’t have any excessive hardware rentals. This article will outline the three best ways to stream NESN without cable including fuboTV, YouTube TV, and PlayStation Vue to help you start enjoying the game without emptying your wallet. Not included in smallest package "Access"
What do I need to stream NESN? 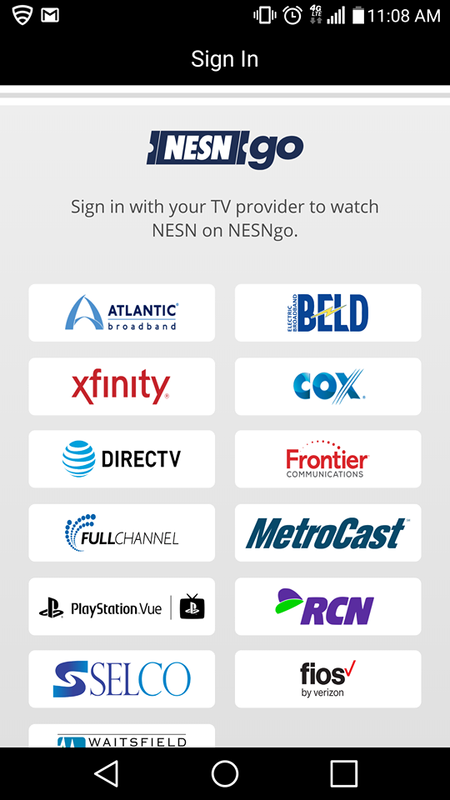 NESN is available through the few different streaming services that we mentioned above. If you’ve never used a live TV streaming service before, they’re similar to Netflix or Hulu, but offer live TV channels instead of on-demand content. Each service is different due to varying channel lineups and package options, but they all work the same way. Streaming services use your internet connection in order to stream the same live TV channels that you’d get with cable. What this means is you can stop paying for cable, but you still need to pay for internet. You’ve probably heard that you’re getting a discount on internet due to a “bundle deal”, but that’s nothing more than a marketing tactic by cable companies. Standalone internet is not only much cheaper than bundle deals, you typically get faster speeds. Since cable companies want you to keep spending extra money on their services, they don’t make their cheap standalone internet packages easy to find. Thankfully, there are a lot of really great (free!) tools online that can help. 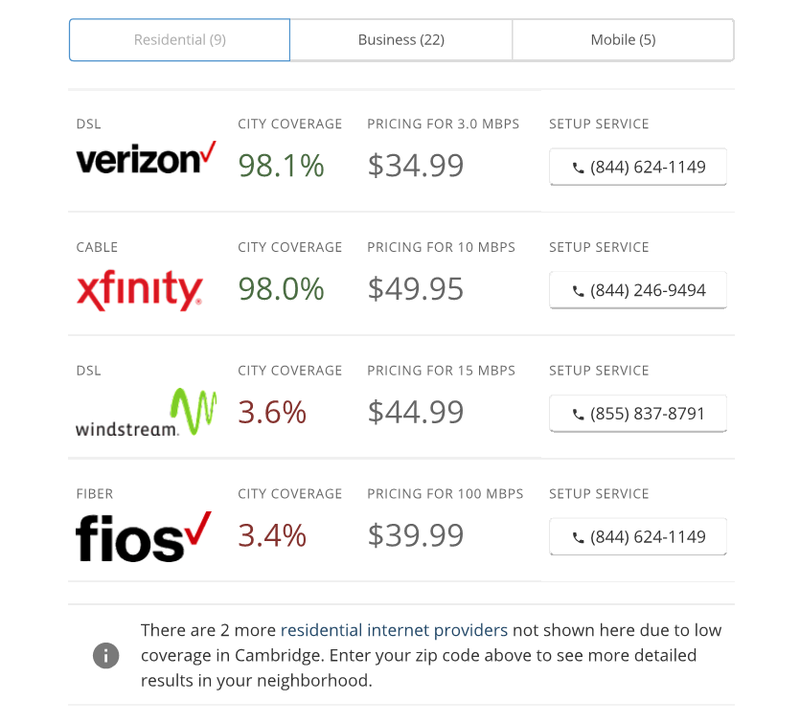 If you’re interested in seeing some of these free tools in action, we’ve written a guide to find cheaper internet providers at your location that outlines some of our favorites. Besides paying for the service itself and an internet connection, the only other thing you might need is hardware. If you have a newer Smart TV, it’s worth checking to see if you can download your chosen streaming service’s app before you buy additional hardware. If the app isn’t available or your don’t own a Smart TV, you’ll probably need a streaming device. Streaming devices are basically small computers that plug into your TV and allow you to download apps that play your content. While almost all streaming services can be played on your phone, watching the New England Patriots with your friends on a 4″ screen isn’t really a great idea. You’ll need one device for each TV you plan to watch NESN on. There is a good reason Roku is such a big name in streaming. 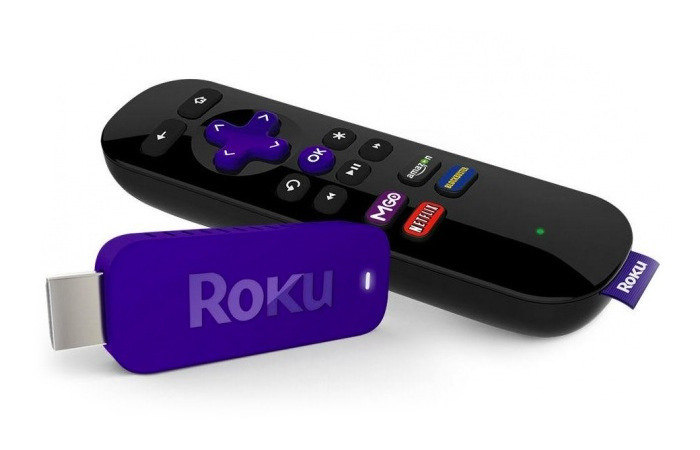 We typically recommend a Roku brand streaming device for new and veteran cord cutters alike. Roku is a huge name in the streaming industry and is incredibly powerful, simple, and cost effective. Another benefit of watching NESN on your Roku is that it’s compatible with almost all of the major streaming services in case you switch in the future. If you already have a different device, or if you’d like to weigh other options, we’ll make sure to put a list of compatible devices at the bottom of each service’s outline in this article. There are pretty large overlaps between streaming services, but they all have something that sets them apart from the group. For example, fuboTV positions itself as the premier sports platform for cord cutters. Contrary to Philo TV‘s no-sports stance, fuboTV tries to include as many sports networks as possible. For New England sports fans, fuboTV offers a lot of content. You’ll get CBS-WBZ, FOX 25, NECN, NBC Boston, NBC Sports Boston, and NBCSN in addition to NESN and NESN Plus included in their cheapest package. Their smallest package, just called fubo, is $39.99 for the first month and $44.99 each month after that. Although it might seem expensive for sports, fuboTV isn’t a sports-only network. You’ll get A&E, Food Network, HGTV, USA, and plenty of other popular cable channels that the non-sports fanatics in your home can enjoy. Keep in mind that these are not a watered down version of the cable channels. FuboTV is meant as a complete replacement for cable. $44.99 doesn’t look nearly as expensive when you figure out how much more than that you were spending on your cable bill! The image below shows the current fuboTV channel lineup for our Boston location. Please note that local stations are location dependent and you should visit the fuboTV site for yourself to confirm their availability near you. As important as it is to note the sports stations that fuboTV includes, there are some major sports stations that it’s missing. FuboTV DOES NOT include the ESPN stations. If missing out on ESPN content like Monday Night Football is a gamebreaker for you, fuboTV might not be the best option. However, ESPN+ was recently released and could be subscribed to in conjunction with fubo. FuboTV also offers additional add-on packages that will give you extra channels for a little bit more money per month. If you’re a big soccer fan, you can add the International Sports Plus package to get FOX Soccer plus and 3 other channels for only $5.99 a month. 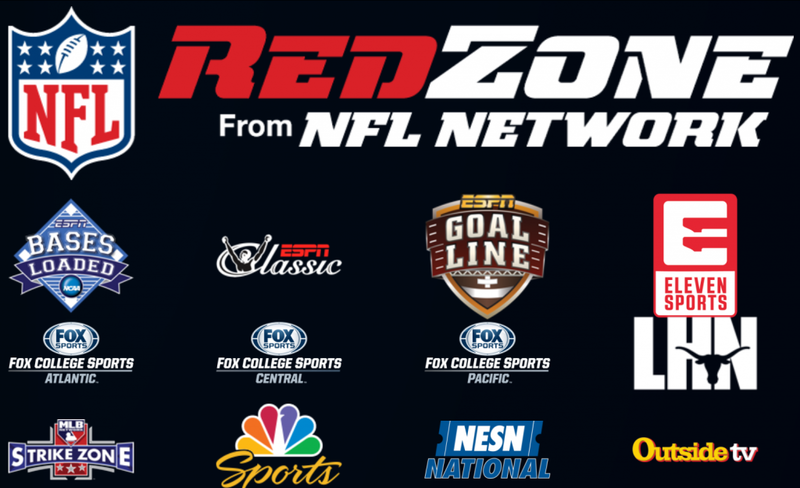 For football fans, you can grab the Sports Plus package for $8.99 and get NFL RedZone, the PAC12 Networks, FOX College Sports, and a total of 21 channels. These small packages allow fuboTV to keep their base package cheaper and adds extra flexibility for subscribers. You can see fuboTV’s other add-on package including NBA League Pass and SHOWTIME here. NESN has recently become available on YouTube TV. If you’re familiar with the internet then you’ve probably heard of YouTube. But you might not be aware that YouTube also has a paid service that offers live TV for a monthly fee. Update: As of March 13, 2018 YouTube TV costs $40 a month instead of $35. They added a few additional channels to help offset the cost and it’s still the cheapest option for NESN without cable. Subscribers who bought in a $35 a month will be locked into the lower rate. YouTube TV comes with about 60 channels on top of NESN. Since YouTube TV offers a lot of local stations, it’s important to check the current channel lineup for yourself to make sure it’s accurate for your location. The image below shows the current channel lineup for our Boston office. As you can see from the Boston channel lineup, YouTube TV is a great option for sports fans. With most of the major local networks, the ESPN channels, Regional Sports Networks, and even the Olympic channel, you shouldn’t miss many games with YouTube TV. 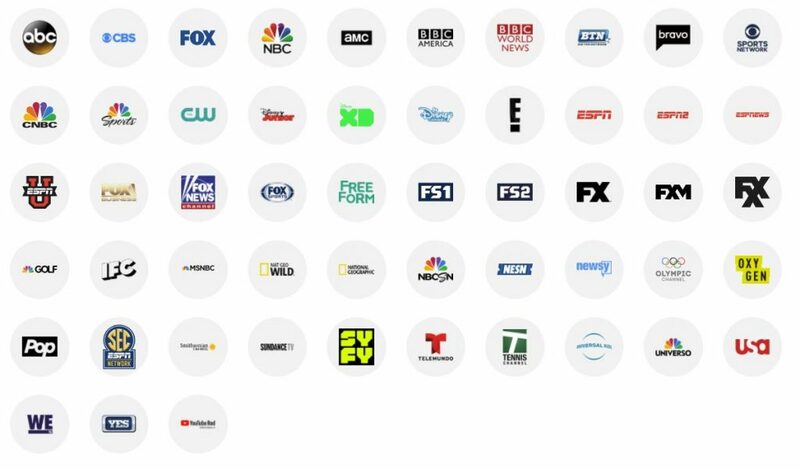 In fact, YouTube TV also earned a spot as one of the best ways to watch the NFL without cable if you’re a football fan. It’s fantastic channel lineup for sports fans aside, YouTube TV is best known for its legendary DVR. Being owned by Google and stemming from the largest video library in the world has its perks. YouTube TV offers a free cloud DVR service included in your monthly price and allows you to record an unlimited amount of content. 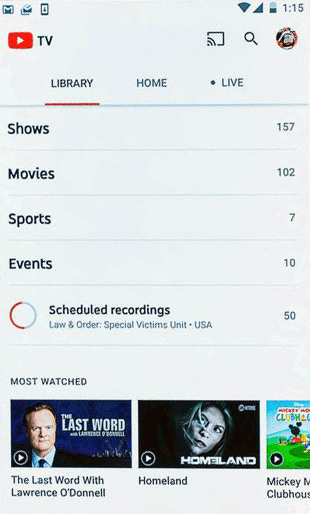 With unlimited storage it’s easy to record everything and anything you could possibly want to watch. Sports aren’t typically the most recorded programs, but the ability to record everything you want is a great plus. Another benefit of YouTube TV is its reliability. 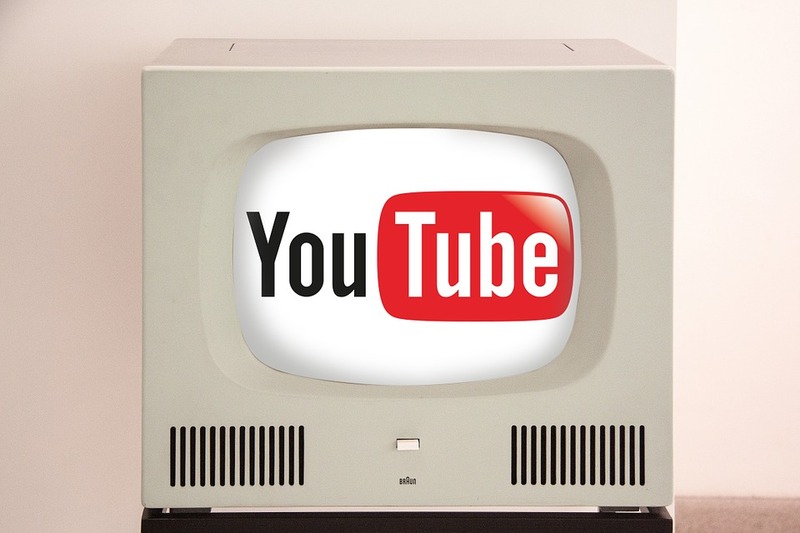 YouTube is the leading provider of on-demand content in the world and handles enormous amounts of data every day. Unless an apocalyptic event takes down the internet itself, you won’t have to worry about YouTube TV being down. The company’s size and longevity also means there’s a lot of resources available online if you need support. If you can’t find the answer to your issue online, their customer support is there to help. The price of YouTube TV might have increased, but the added channels also help sports fans. With the addition of major Turner networks like TNT and CNN, it’s easy to look passed the $5 price increase. Although it’s a bit more expensive than it was, it’s still a lot cheaper than most people’s cable bill. The next best option to watch NESN without cable is PlayStation Vue. Although the name would imply it, you don’t actually need a PlayStation to use the service. PlayStation Vue is a standalone service offered by Sony similar to YouTube TV or Sling TV. It’s a non-contract based streaming service that offers live cable channels in a variety of packages. They have 4 major packages that range from $44.99-$79.99 a month and also offer add-on channels that provide more options. Their smallest package doesn’t include NESN, but the Core package does. It costs $49.99 per month and comes with over 62 channels. It may cost $4.99 a month more than YouTube TV, but it offers a different channel line up and might better fit your needs. The image below shows the current PlayStation Vue Core channel lineup for Boston. Make sure to check channel availability for your location in case it’s different before you subscribe. PlayStation Vue is also one of the best options to watch NESN without cable if you’re no longer located in the New England area. When you move out of market, NESN is no longer included in the major PlayStation Vue packages. However, if you subscribe to one of the Core or greater packages you can add their Sports Pack for an additional $10 a month. One benefit PlayStation Vue has over YouTube TV is its variety of packages and add-ons. 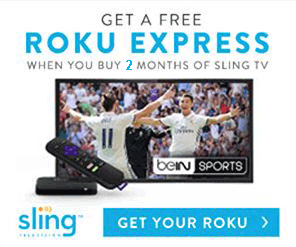 It may not be as customizable as Sling TV, but it does give subscribers more options than YouTube. Increasing the package size or adding a few addons makes PlayStation Vue one of the easiest transitions from cable TV. If your family is used to watching a variety of live channels, PlayStation Vue is a good bet to hold onto that content. PlayStation Vue also offers NESN at 60 fps compared to YouTube’s 30. Although YouTube TV is constantly adding more channels to their 60 fps list, NESN hasn’t quite made it there yet. Lower FPS can make watching certain sports (particularly hockey) quite difficult. If the 30 fps cap that YouTube current has on NESN is a dealbreaker for you, the $4.99 premium for PlayStation Vue is well worth the money. NESN released a website and an app for live streaming in early 2017. The NESNgo app is available through Google Play or the App Store and the website can be found at NESNgo.com. The fact that they released NESNgo shows NESN’s intention to improve the live streaming experience for New England sports. However, due to license issues and contracts, the service is still behind a paywall. 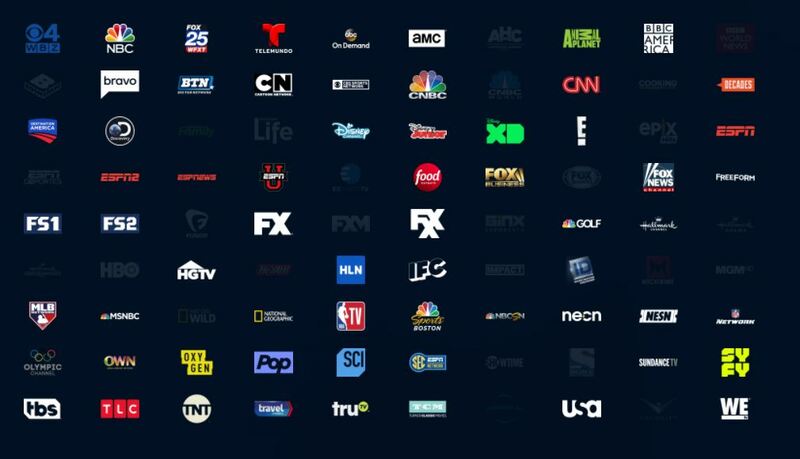 It’s important to note that there is an additional services that let you log into NESNgo that we left off the list; PlayStation Vue. PlayStation Vue accounts are accepted to login to NESNgo the same way as a cable subscription. The NESNgo app and website can be useful, but you’re typically better off using the native PlayStation Vue app. The content is the same, but the NESN stream is a little less polished and more buggy than the alternative. NESNgo is quite useful for people who currently have a cable subscription, but isn’t the best solution for those who want to watch it for cheap. Be aware folks that many of these offers that stream NESN are only streaming at 30 fps, not 60 fps. The result is a robotic lokking game – not worth that to me. That’s a really good point that I didn’t even think to mention. YouTube TV has a lot 60 fps channels and are continuing to expand this offering. I don’t believe NESN is currently streamed at 60 fps on YouTube but is on PlayStation Vue. I’ll have to double check both services and get back to you. All we want is the Bruins, fast video, and cloud dvr. So far, this does not exist without a cable subscription …..
Youtube video is too slow, why wouldn’t they offer 60fps for the fastest sport on earth? Playstation Vue doesn’t offer a cloud dvr function, no chance to start the game late or take a dinner break! NESNgo is behind a pay wall. Hopefully YouTube keeps expanding their 60fps channel list and it would be perfect for NESN. PSVue can’t currently support DVR to NESN due to channel rights, but does offer it for other channels. It’s not ideal, but it’s better than a big cable bill! I just got Fugo and NESN comes in great with the basic package. Fubo TV supports NESN for $44.99 a month. It only didn’t make the post because it’s a little bit more expensive than the other options. We did write a big Fubo TV article though if anyone wants more information. You should be able to download the YouTube TV app as long as you have any of these Roku models: All Roku TVs, Roku Ultra, Roku Streaming Stick+, Roku Streaming Stick (3800x, 3600x), Roku Express/Express+ (3910x, 3900x, 3710x, 3700x), Roku Premiere+, Roku Premiere, Roku 4, Roku 3 (4200x, 4230x), and Roku 2 (4210x). I have PlayStation Vue, and am considering switching to YouTube. I get plenty of buffering from PlayStation (and NESN), and the latter, for some inexplicable reason, is most prevalent near the end of the game. When it happens, my wife and I just look at each other like someone at NESN is messing with us. Yes, we have DSL and yes, that is an issue, but most times, it is not. We don’t care about all these other channels that are available — we just want NESN, FS1, FS2, TNT, TBS, and TruTV. Just for baseball and college basketball. I’m sorry to hear about PlayStation, especially during games. Have you tried to contact them on Twitter? YouTube TV does seem like the perfect fit if those are the channels you’re looking for. I threw all of your channels in our cord cutting guide page and the cheapest result for that channel lineup is YouTube TV. You could at least give their free trial a shot and see if you have the same issues. NESNgo was working perfectly on an iPhone 8+ with iOS 11.3 and a iOS 11.4 developer beta. Last week I began running a developer beta on iOS 12. The NESNgo app brings up the schedule, but I cannot sign in. I can’t even get to the Provider Sign-in screen–there is nothing but a spinning gear with a “LOADING” message below the NESNgo logo. I’ve tried uninstalling and reinstalling the app, hard rebooting the phone, etc. It would make sense if the app would crash or fail to load, but I can’t understand what about iOS12 would be preventing a sign-in screen from appearing. And I can’t get to NESNgo.com on a phone browser–it just gives the option of downloading the app. All of my other apps–100 or so–seem to be working with the iOS 12 beta. Anyone here running it in iOS 12? Does anyone know if NESN is available on Playstaion VUE and what package does it come with? Hey Mark! You can get NESN with PlayStation Vue’s Core package (or higher). Core starts at $49.99. I’m running into the same issue with NESNgo as the other folks above. I’m trying to login to the app on my Essential Phone running Android Pie 9.0. I try to sign in and the provider list never loads. Just the spinning AJAX wheel of death. Had anyone found a good for this?